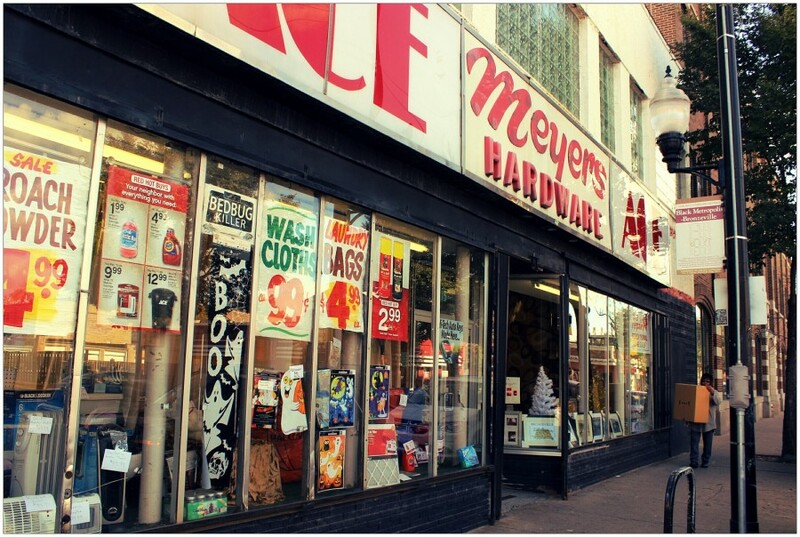 At first glance, the appeal of Meyers Ace Hardware on 35th Street in Bronzeville is that it has the personality and charm of a true, old school neighborhood hardware store. But if you step inside, you learn that its rich history makes it so much more. 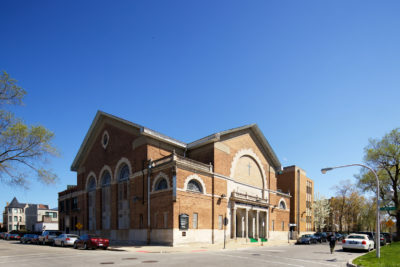 It once hosted performances by such legends as Ella Fitzgerald, Count Basie, and Louie Armstrong. The venue opened in the 1920s as the Sunset Cafe. It was a “black and tan” nightclub, one of the city’s few integrated clubs where a black person would be treated as a white person’s equal. It later continued on as Grand Terrace nightclub, and thrived for more years before eventually closing. In 1960 the father of the current owner, Dave Meyers, moved his hardware store into the space and uncovered evidence of its incredible jazz legacy. 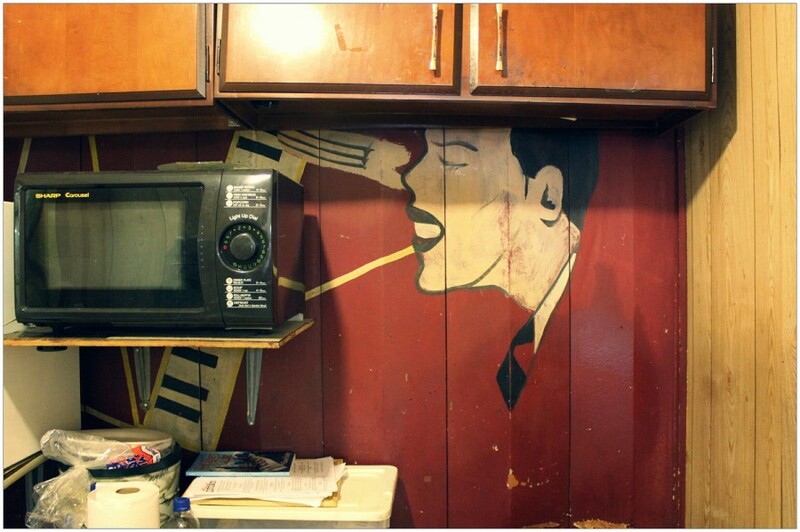 Some of that evidence still remains; most notably, the store’s back office retains the hand-painted murals that originally adorned the wall behind the stage. Manager Dave Meyers is very proud of his store’s fabulous past, and some very cool old photos and promo pieces are prominently on display. 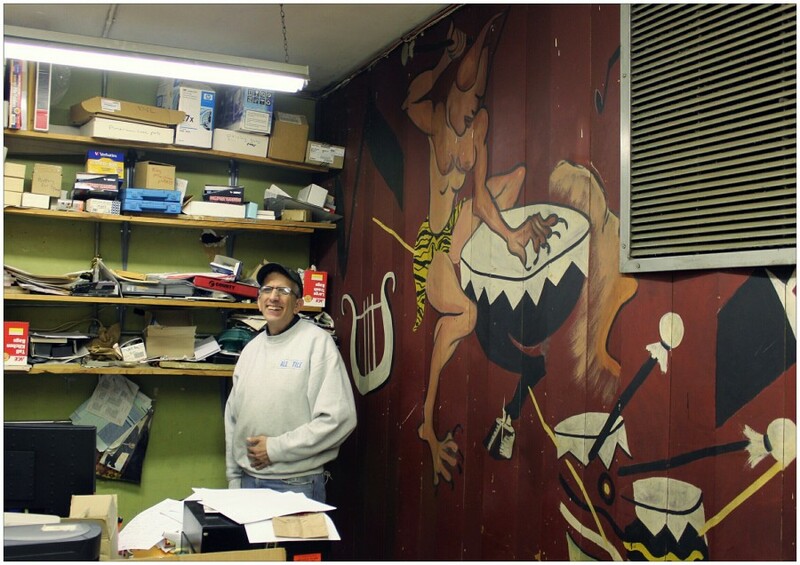 Owner Dave Meyers in the store’s office, a space once occupied by the nightclub’s stage. The original stage murals are visible on the office’s wall. A view looking up from the store’s office, which was the stage back in the days this building housed Sunset Cafe and later the Golden Terrace. 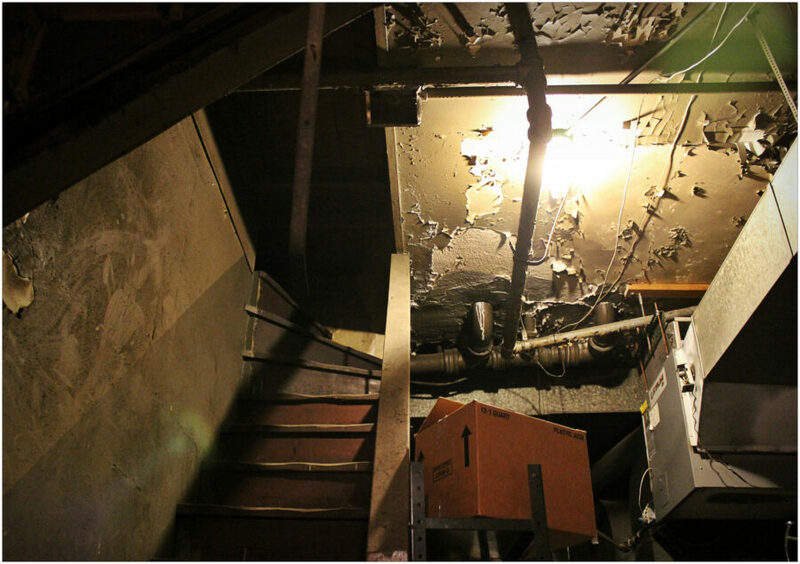 Stairs lead up to a room that the owner believes was once used as a private club. 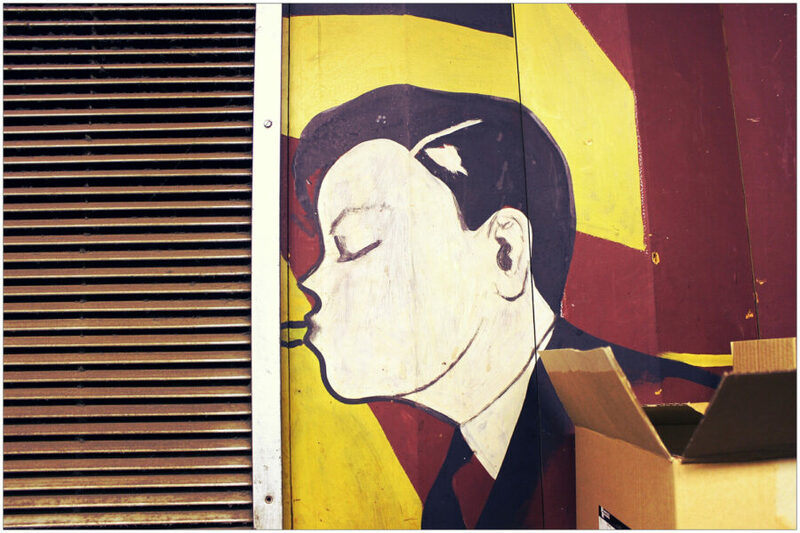 Part of the mural that once decorated the wall behind the stage. This is in the back office of the store, which was the previous location of the stage. 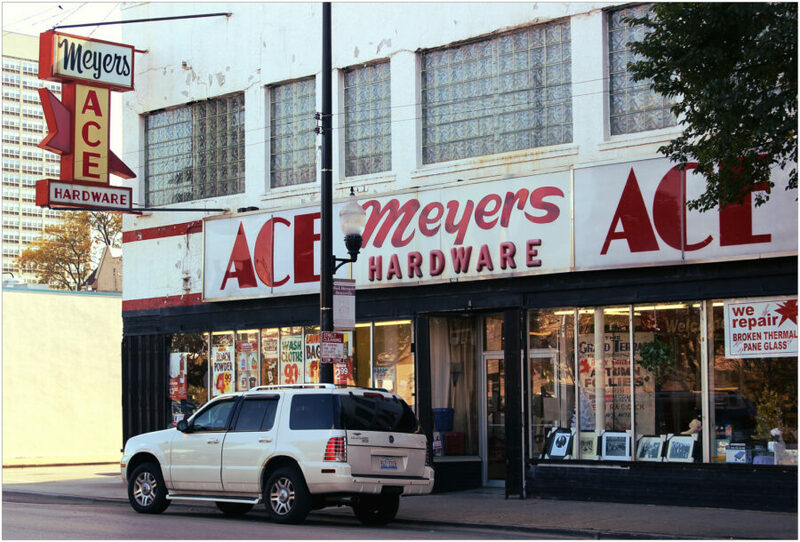 Meyers Ace Hardware is located at 315 E 35th Street. 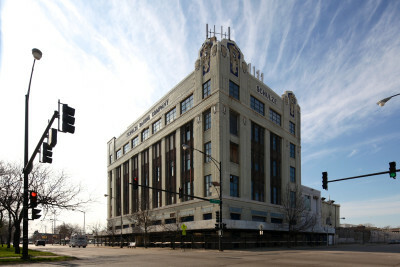 The building, along with eight nearby buildings which are also very significant to African-American history in Chicago from the 1920s through the 1950s, gained landmark status in 1998. Stephanie, these photos are great and it’s a wonderful story. I want to thank the owner for this peek, and for helping preserve a bit of perhaps The Hippest music scene in history. 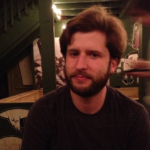 I think this is neat, but it’s disappointing, that, three years after this article, nothing has been done to even try to try to preserve this at all. The microwave is still hanging there along with a bunch of other junk. Why not allow some interested people from the Chicago Architecture Foundation come in there and restore it at least a little bit? Even just cleaning it up would be an improvement. This could be something that this community could really be proud of. 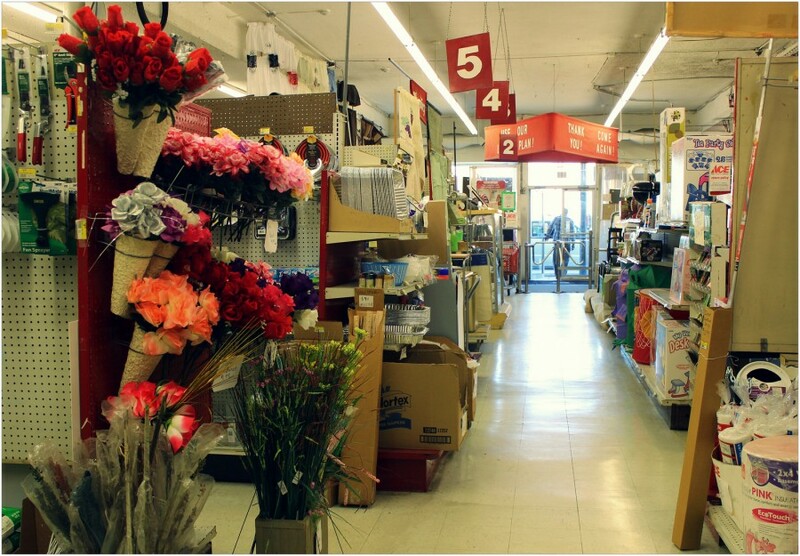 Even the hardware store is cool and historic.